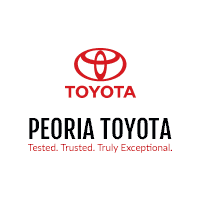 Peoria Toyota is committed to offering every customer a competitive market value price on all our pre-owned vehicles. 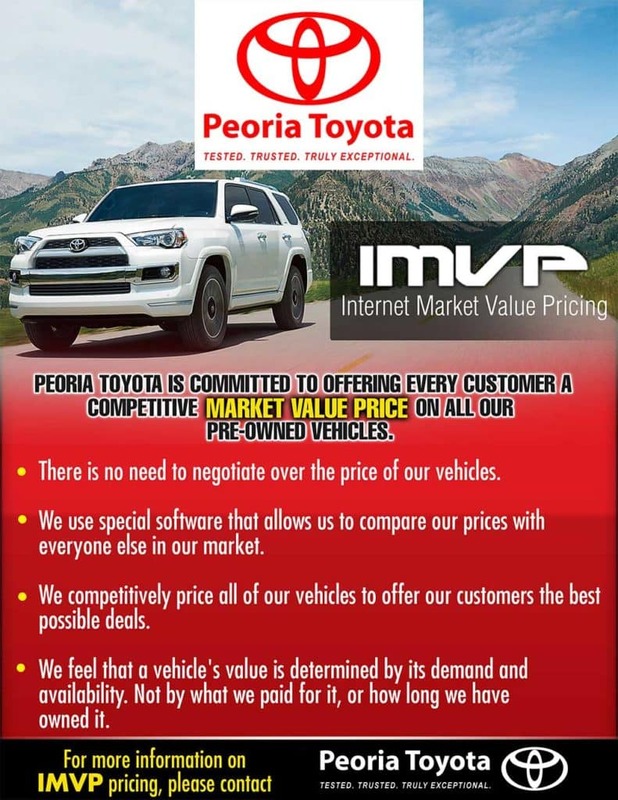 There is no need to negotiate over the price of our vehicles. We use special software that allows us to compare our prices with everyone else in our market. We competitively price all of our vehicles to offer our customers the best possible deals. We feel that a vehicle’s value is determined by its demand and availability. Not by what we paid for it, or how long we have owned it.